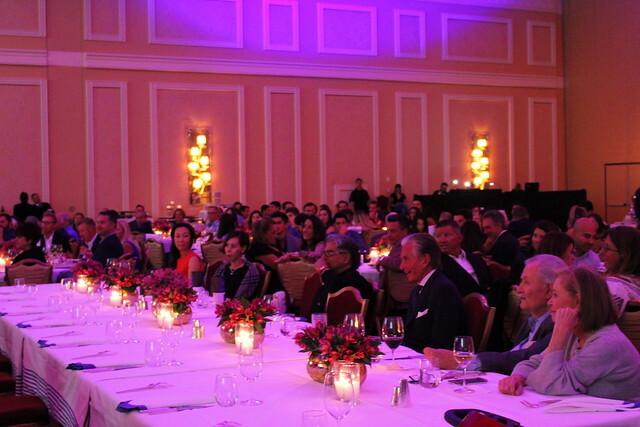 The National Hellenic Society brought together bright Greek Americans from all spectrums at their signature event, Heritage Weekend, held at the Encore in Las Vegas, October 5-8. The organizers created a ‘parea,’ filled with entertainment and the best compelling panelists at the Heritage Weekend & Classic 2017. Olympic Gold Medalist Helen Maroulis, Earth Friendly Products CEO Kelly Vlahakis-Hanks, Equinox CEO Niki Leondakis, Goldman Sachs Executive Doreta Mistras, and Atlantic Bank President Nancy Papaioannou, participated in a forum moderated by journalist Laura Evans. Among the panelists were also master chef Diane Kochilas who gave a cooking demonstration; Diane is the star of the upcoming 13-series PBS special, My Greek Table, co-sponsored by NHS. Former Governor Michael Dukakis, and Greek-American congressmen Gus Bilirakis, Michael Bilirakis, Paul Sarbanes, John Sarbanes and political scientists William Antholis participated in a “Democracy” forum. During the conference, the National Hellenic Society also announced the appointment of Drake Behrakis as its new chairman who took over from now Chairman Emeritus George Marcus. Drake Behrakis is President & CEO of Marwick Associates, a real estate investment and development company located in Lexington, Massachusetts. Prior to joining Marwick, Behrakis held various positions at Muro Pharmaceutical and the Gillette Company. George Marcus is the founder of Marcus & Millichap Company and its chairman since 1971. He is also chairman of Essex Property Trust. The National Hellenic Society is an organization established to create a lasting network of Greek Americans that will preserve their heritage through the sponsorship and initiation of programs that support the Hellenic culture and values.